A.D Singh, partner and the main face behind the Olive Bar and Kitchen, who is also one of the cities best known figures in the fields of leisure and restaurants, has over the last fifteen years been at the forefront of the lifestyle revolution sweeping the country. 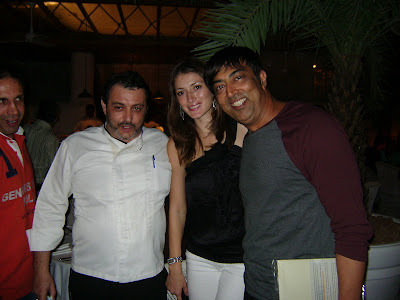 His restaurants and other ventures have been the trendsetters for these industires, resulting in a sound reputation, credibility and goodwill. He takes utmost care to keep his clients happy and coming back for more.